The 21st century has been called the ‘urban century’ (UN-Habitat, 2008). Building and renovating is going faster, cheaper, and more sustainable. That is shifting the building practices radically; from traditional craft towards 21st-century technologies. 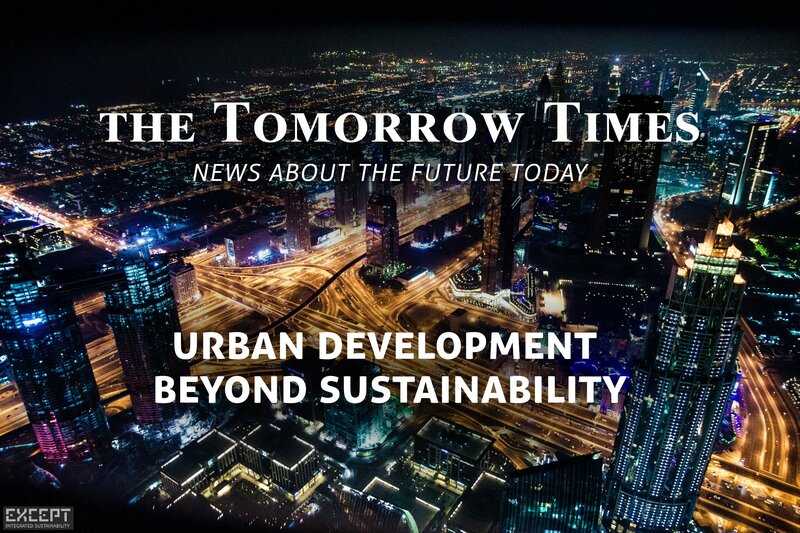 What actions do we need to develop sustainable cities? To move in a more sustainable direction, we look at visions of what sustainable cities can look like in the future. Read all about it in the Tomorrow Times. Want to get it first? Make sure to Subscribe. 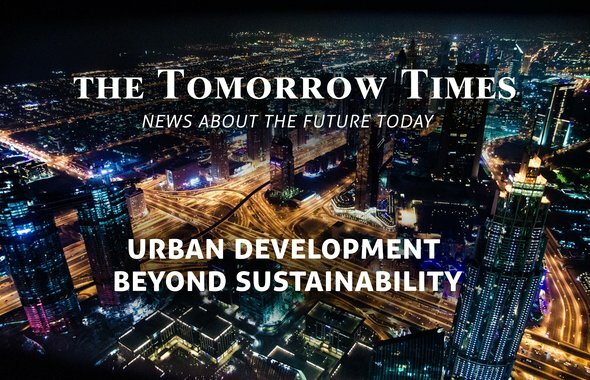 What does the future of sustainable cities look like? As our cities grow, and the effects of climate change become more serious, municipal governments and other actors have become more concerned about what cities can do to combat the risks of climate change. In Malmö, Sweden, some of the most radical approaches to urban planning have put decarbonisation on the agenda. Specific examples are happening in Western Harbor and in the Hyllie sustainable city district development. Just a short hop from Malmö over the water to Copenhagen, top European green capital, climate innovations are underway as Nordhavn district heating EnergyLab (Video). Construction, what are the major trends? The building industry is rebuilding itself with technological advancements and a stronger focus on sustainability. What is the future of sustainable construction? 1. More technological integration - Drone usage, 3D printing, Building Information Modeling - BIM, IoT and Circularity, approaching buildings as material banks. 2. Increase in prefabrication and modular constructions. Shifting off-site manufacturing of modular homes. On this wave, new business models are developed as the Dutch initiative Energiesprong, now an export product. 3. From sustainable design to wildlife conservation and local community support, green is the new black. Increasingly, people are focused on sustainability, so the most successful companies are also focusing on realizing buildings beyond sustainability. The city of the future is a complex system. Designing resilient urban interconnections is becoming increasingly important. Urban ecology lays the foundations for a bright future. People often think of urban landscapes as concrete dystopias, but the future may reside in cities that can sustain both nature and people. Sustainable cities make people happier, healthier and more productive. Except last week launched a new insitive of Catalytic Buildings, from which we'll hear more in upcoming editions. These are buildings that upgrade the system of the city beyond their own walls. Impakter.com published the first article on Catalytic Buildings this week. Projects as ReGen Villages develop affordable, regenerative, and self sustaining living: a pilot of 203 houses near Amsterdam is on the way, for which Except made the masterplan. A glimpse of what the future looks like. The National Geographic VIDEO episode ‘City of the Future: Singapore’ dives into the latest innovations and technology being created and implemented to blaze a path into the future. A few years ago we wrote a (now free) richly illustrated book ' House Full of energy ‘ with 3 examples to create energy neutral houses (renovation and new construction). Download the free book as PDF from our website. A tiny plastic enemy threatening the planet’s oceans: “nurdles”. Tiny pellets of plastic no bigger than a pencil eraser. Billions of those “nurdles” are lost from manufacturers into waterways. A new research investigates possible long-term impacts on the marine food chain. Pre-production plastic pellets are the 2nd largest source of micro-plastic water contamination. Here a running list of actions on plastic pollution and other initiatives as the BBC Plastic Watch with videos, tips and reference. Hawaiian Electric announces ‘mind-blowing’ solar-plus-storage contracts. Will Giese, executive director at Hawaii’s Solar Energy Association, called the pricing “mind-blowing.” Hawaiian electric providers are confident that their islands can hit 100 percent renewables ahead of the 2045 mandate. Ocean is warming up faster than expected. A new Science publication finds oceans heating up 40% faster than IPCC estimated 5 years ago. Increasing water temperatures are killing off marine ecosystems and contributing to extreme weather conditions. Ocean is little affected by internal variability thus better suited for detecting human influences.The fairly steady rise in ocean heat content shows that the planet is clearly warming. The warming, measured since 1960, is faster than predicted by scientists in 2013. China powers up electric car market. For a decade, the Chinese government has invested on the electric vehicle market through subsidies and other incentives. Outside China, few drivers have heard of brands such as Hit BYD or Beijing Automobile Works. But they're two of the largest players in the world's biggest market for electric cars. In Norway, electric vehicles make up nearly half of the market! Are retailers adapting to new trends and technologies? One of the mayor world toys suppliers Toys "R" Us, filed for bankruptcy in September 2017. The company has struggled as shoppers move online and high-tech toys grow in popularity. Machine learning, AI, IoT and 3D-printing are getting accessible to everyone. Industries and retailers are forced to innovate and digitalise the entire business to prepare themselves for the future. 4th industrial revolution, who pays? Pakistan's second-largest city is choking on smog, driven in part by smoke from bricks kiln and steel mills, burning of rice stubble and garbage, growing numbers of vehicles on the road and large-scale losses of trees as the expanding city makes way for new roads and buildings. Air pollution inequality widens between rich and poor nations. From Brain Zapping to Nanodegrees: new trends are coming to your office. It won't be long before you will use holographic screens to type emails and create virtual 3-D models in the air, the California-based startup Meta is developing just that. Future job applicants may have a constellation of nanodegrees from e-learning platforms as Udacity. Technological change vastly outpaces universities' ability to adapt. Hyper-specific learning programs is the future. Global water crisis - A solar panels that pull water out of the air. Zero Mass Water a startup, which is backed by a $1 billion fund led by Bill Gates and Jeff Bezos, recently created a new sensor that allows you to monitor the quality of your water. The company sees its technology as a way to help solve the global water crisis. Ikea’s first store in India offers delivery by solar-powered rickshaws. At least 20% of the Hyderabad store’s delivery fleet will be electric rickshaws. The New York Times reports that Ikea’s Indian employees visited more than 1,000 homes to better understand their new customers, which led the designers to create more folding chair options, for example. Denmark plans to construct 9 new islands south of Copenhagen. This ambitious plan can in future become a European Silicon Valley. A team of ministers, mayors and private actors just revealed the plan. Nine artificial islands by 2040 to house a new industrial zone to attract about 380 companies to the area near Copenhagen airport. Sun alone can power homes all year around, even in Sweden. By combining solar PV and hydrogen fuel cells, the world’s first fully off-grid, energy zero housing complex will be realized in the Vårgårda Municipality of Sweden. Six buildings will produce all their power from solar and store surplus energy as hydrogen. When burnt in winter hydrogen will supply both heat and electricity. Dutch eco-initiative halves energy bills in the renovation of UK. A Dutch approach to transforming old homes through a dramatic green makeover has arrived in the UK and cut tenants’ energy bills in half. The Energiesprong (Energy Leap) initiative involves completely wrapping houses with insulated panel-facades that snap on like Lego. In June 2018, Energiesprong NL has won the 2018 World Green Building Council Award. Sustainable events open doors in The Netherlands, circular pioneer country. The Netherlands is consolidating its status as a circular economy pioneer, making of Amsterdam a circular hotspot. This January - 14 to 18 - we have been at the Dutch Week of the Circular Economy 2019 in Amsterdam; circular frontrunners have organized more than 120 events to bring other professionals into the circular economy. Get inspired by the list of events: From Urban Mining, circular 'building blocks' to the largest remanufacturing program for bikes in the Netherlands between NS National Railways and Roetz Fair Factory. In June, join the Sustainable week in Utrecht, the largest sustainability event in the Netherlands with more than 50 participating partners and 150 events - 12 to 19 June. Energy Transition in NL. The Netherlands is in the middle of an active energy transition, 2018 has been named ‘the year of the heat pump’. According to the socio-economic council, the market is experiencing a shortage of professionals and the installation sector is joining forces with education to develop new courses. Few years ago we wrote a (now free) richly illustrated book ' House Full of energy ‘ with 3 examples to create energy neutral houses (renovation and new construction). ‘House full of energy’ is now a free book, download as PDF from our website. See a news item suited for 'The Tomorrow Times', or a theme for a newsletter? Let us know, we'll do our best to make some magic happen!